On Sunday, March 10, a tragedy occurred in Ethiopia that impacted 35 countries. A Sunday morning flight became a tragedy, within minutes, when a Boeing 737 Max 8, carrying 157 people en route to Nairobi, Kenya, crashed 6 minutes after takeoff from Bole International Airport, in Addis Ababa, Ethiopia, killing all 157 passengers and crew members onboard. The plane took off at 8:38AM local time, and air traffic control lost contact with the flight at 8:44AM. 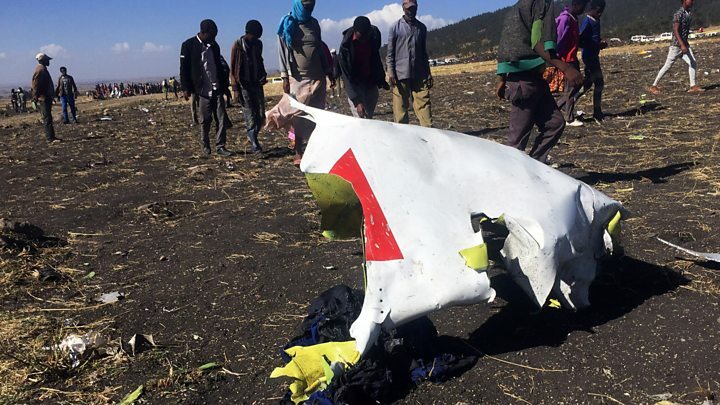 The plane crashed in Bishoftu, a town 40 miles southeast from Ethiopia’s capital city. According to CNN, The victims came from 35 different nationalities from all over the world. Thirty-two Kenyans, seventeen Ethiopians, eighteen Canadians, eight Americans and seven French are just 5 of of the 35 different nationalities affected. The pilot of flight 302 informed controllers that the plane was having control problems before it crashed. The pilot also requested permission to return back to Bole Airport right after takeoff according to the Wall Street Journal. This has been the second crash involving the 737 Max 8 plane in a span of 5 months. In October 2018, Lion Air Flight 610 crashed in Indonesia, 12 minutes after takeoff, killing all 189 on board. The Monday following the fatal crash became a national day of mourning in Ethiopia. According to Al Jerreza, remains are still being identified and will take up to 6 months for all of them to be correctly identified. For 35 countries that lost a citizen, and more countries, this crash was heartbreaking to hear about. Snow storms on the West Coast! The U.S. has been going through a rough winter so far this year. With the polar vortex hitting the Midwest in late January, and the heavy snow storms on the Northern Eastern coast, the newest area to be affected with this snow storm is the West Coast. Squaw Valley, in California, had its snowiest month on record, according to The Guardian. Snow was also seen falling near Pasadena and West Hollywood. More snowfalls have also took their tolls in areas in Oregon. Going back to California, a state that is mainly familiar to sunshine and low precipitation, it had one of its snowiest Februaries the state has ever seen. Although it saw massive snow storms hitting many parts of the state, it didn’t break the record of the snowiest month of all time for the state of California. Tamarack, California holds the record of the snowiest month in the state, 390 inches of snow fell back in January 1911, and it holds that record according to Theweather.com. Not only California and Oregon were hit with tremendous amounts of snow. Arizona and Las Vegas, yes, Las Vegas, were hit with an uncommon weather storm. In Flagstaff, Arizona, the region was buried in snow, exactly 35.9 inches according to CNN. The city was under a state of emergency. The snow that fell that day became the snowiest single day in recorded history in Flagstaff, Arizona. Breaking the previous record of 31 inches back in 1915. The roads in Northern Arizona were so bad that the Arizona Department of Transportation was urging everyone not to travel through that region. Arizona State troopers say they responded to more than 400 calls for stranded vehicles and slide-offs in 24 hours. 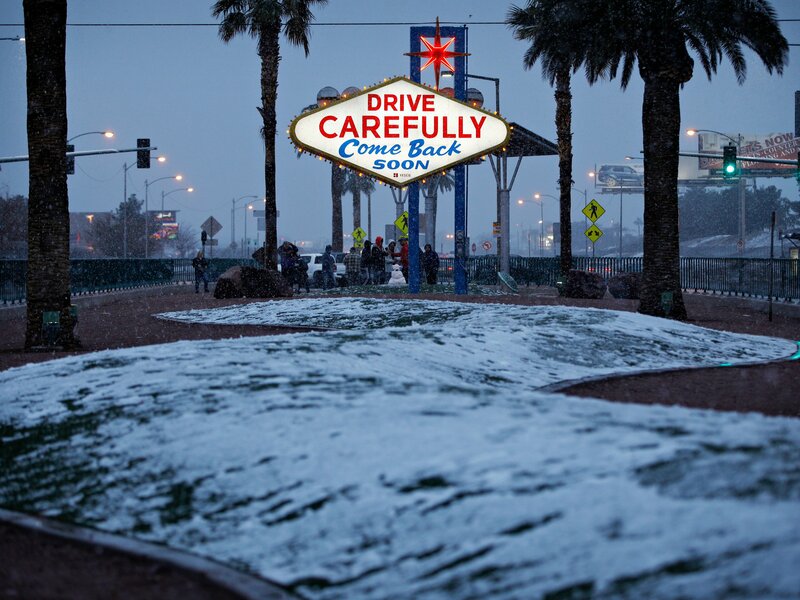 Now, in Las Vegas, we don’t see as much snow compared to the nearby cities and states, but the fact it even snowed in Sin City was trending nationwide. Las Vegas had over 4 inches of snow. Due to the residents not being used to snow, or never witnessing snowfall in their lives, travel became slick and hard in Las Vegas. Schools in Las Vegas were closed due to the snow according to Accuweather. We’re only 3 months into 2019, but this year alone, for weather across the nation, has broken so many records in unusual places, and it still may have more records to break.